"This is my baby. 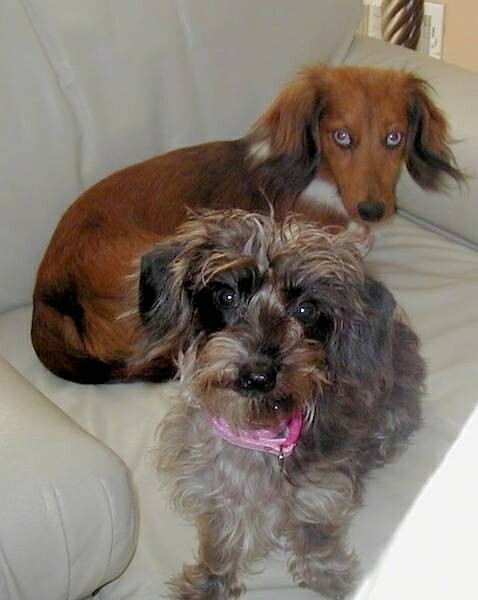 (The dapple one in the front, shown with her long hair Mini Dachshund sister at 2 years old. Her name is Schatzie. She is a cross between a short hair Mini Dachshund and a Yorkie. Her size is considered "teacup" since she's 5 pounds at 2 years old."